London Modular Alliance - Hands & Brains EP. Vinyl EP. Bleep. 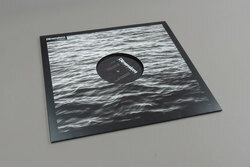 Following their appearance on Dimensions Recordings’ debut release, the three part compilation ‘An Introduction’, with the twisted ‘Crosstalk’, London Modular Alliance step up to the plate with their first full EP for the label. The ‘Hands & Brains EP’ further demonstrates the skills that the London based trio are becoming renowned for. As the minds behind the fantastic London Modular store in London specialising in modular equipment, often supplied to a host of well known musicians, it’s unsurprising to hear that the guys are serious gear heads, what is surprising is the quality and consistency of their growing output! London Modular Alliance are taking their impressive live set up to Dimensions Festival this year to unleash their mastery at the Croatian fortress site.